Makueni County is in the process of establishing the Makueni Education Fund, a kitty to cater for increasing cases of bright and needy students in the county annually, Education and Youth Executive Committee Member Joshua Wambua has said. Wambua said that the County Government of Makueni has continued to receive an increasing number of applicants for both bursaries and scholarships each year adding that the County budget cannot sustain the applications. “We are in the process of establishing a larger kitty, the Makueni Education Fund in order to address the increasing cases of bright and needy children. Our County Budget cannot sustain these cases thus the reason for this noble course,” the ECM said. 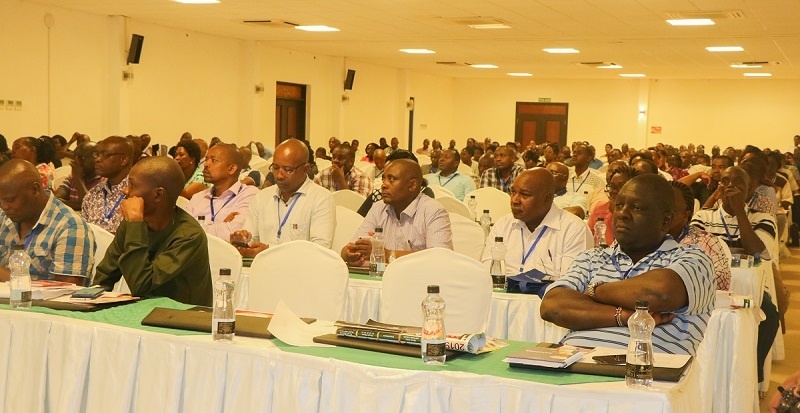 He was speaking in Mombasa on Thursday where county officials led by Deputy Governor Adelina Mwau met secondary school head teachers during this year’s Kenya Secondary Schools Heads Association conference for Makueni chapter at the Nyali Sun African Beach Hotel. According to Wambua, the overall aim of the fund will be to mobilize financial resources and provide financial assistance to Makueni bright and needy students in their pursuit of higher education, allocate funds and grants for seminars and Conferences and research and other related educational purposes. He further observed that though constitutionally primary, secondary and university education are not devolved, the County Government cannot escape from supporting them due to their proximity and presence where the people are. Adelina Mwau stated that the fund was a step to increase Makueni share in supporting transition and retention in schools through supporting as many needy and bright students as possible thus increasing their chances to better their future. KESSHA Makueni Chapter chairman Julius Mutwii who was the host and also the leader of a team handling the fund details termed it as a noble idea that will keep hope alive for the children. He also assured the county government of their unwavering support to fully realise the initiative.